The market of Initial Coin Offerings (ICOs) saw a substantial growth in 2017 which transitioned in the first two quarters of 2018. With over $6 billion raised in the last six months alone, ICOs are no longer to be overlooked. The skyrocketing market for ICOs, however, also gave wide leeway to a range of industries which are more or less complimentary yet essential for its further development. Advertising is undoubtedly amongst them. Companies which specialized in providing dedicated ICO marketing services became highly sought after and, hence, their number started to grow. There are numerous companies of the kind currently occupying the field. While it’s clear that the abundance and competition bring certain benefits, it’s also becoming increasingly challenging to tell which ones are trustworthy and which aren’t. Ironically, this is one of the main issues of the overall ICO market as well. Below are the top 10 ICO marketing agencies which have established a proven track record and have managed to help some notable projects raise a serious amount of money. 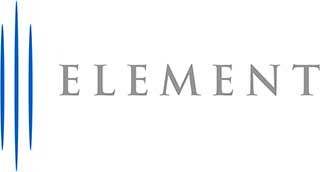 Element Group is among the leading ICO marketing agencies which seem to provide a range of comprehensive services. The company executes token sales and ICOs, it facilitates the relationship between issuers and buyers and structures marketing processes in a concise and effective way. The main focus of the company, however, is centered towards asset management. The company steps out of conventional boundaries and offers assistance for capital markets, technology, as well as the overall transformation of traditional finance through crypto economics. Having managed a range of successful ICO project, Amazix is amongst the established authorities in the field. It comprises a field of professional cryptocurrency consultants with a broad expertise in the field. They also have a strong management team and strict oversight of processes. Their strong suit is within community management. This is where the company places its focus. It’s an essential part of ICO marketing as it deals with gaining community trust which is absolutely imperative for a successful project. Unlike the wide majority of ICO marketing agencies available out there, Priority Token places the focus on providing a uniform solution. They are a UK-based company with its head office in London. However, it has sound and well-established international presence with offices in Singapore, Moscow, and Dubai. Regardless of whether the project needs investment consulting, technical support, or marketing assistance, the company has proven that it’s capable of delivering. It’s one of the agencies which are known for its high level of professionalism and the fact that it doesn’t cut any corners. Bringing turnkey solutions for ICO projects across the globe, Priority Token has managed to quickly establish itself as one of the predominant and preferred options for executives and project owners. The company is also making excellent road shows which are arranged monthly in three strategic and core regions, namely, the UK, Asia, and the Middle East. Tailor-made community management, allowing access to Chinese, Korean, and Japanese communities in local languages apart from the remaining global audience. Excellent traction of fundraising from serious institutional investors. Fully integrated marketing tools within a user-friendly and comprehensive ICO launchpad. FoxTail Marketing is a US-based digital marketing company which has successfully completed a range of ICO campaigns. Amongst other things, it also provides lead generation services for mid-market companies. Unlike a lot of specialized agencies of the kind, this one also provides regular marketing services to companies outside of the ICO market. Its main field of expertise seems to lie within content marketing, which is truly an important part. It also provides strong social media marketing and branding capabilities. ICOBox is a company which surely rings a bell to cryptocurrency project leaders. It’s amongst the first ones to emerge on the market. It’s a Russian company with capabilities which encompass a broad range of potential necessities for any ICO project. From whitepaper writing to legal assistance, the marketing agency claims to be able to provide ICOs with the assistance they need from start to end. However, the company is best known for its PR capabilities. It’s also one of the most expensive companies to work with. They have their prices announced publically and the numbers truly are serious. The regular marketing packages offered by the company start at around 40 BTC, but they are subjected to alteration based on each individual campaign and its requirements. Bitcoin Suisse specializes in the provision of advice for alternative finances and non-banking assets which lay aside from the traditional banking establishments. The focus is mainly on Bitcoin, though, but the company is also known for providing services and advice to other cryptocurrency-related projects. Furthermore, the company is also known for its work towards improving the overall perception of cryptocurrencies and the field in general. MaZee is a company which has explicitly stated that it places the emphasis on community management. Understanding the necessity for community trust, MaZee executes excellent bounty campaigns and drives successful community engagement throughout the possible channels. However, the company doesn’t seem to deliver a range of services apart from this. Still, being a pillar of overall ICO marketing, community management is something every project needs. 7Marketz is a broader marketing agency which delivers services to FinTech companies across the US and Europe since 2010. As such, it is not particularly specialized in ICO marketing but that’s undoubtedly one of the fields it has excelled. Delivering the expertise of a seasoned company to a market that’s fairly young, 7Marketz manages to provide a range of different services for each project. Comprised by a team of blockchain, PR, marketing, and investment experts, Byzantium is an ICO marketing company which offers a broad range of services. It crafts tailored marketing strategies and executes them accordingly. However, it also focuses on providing ICO audits, which is supposed to identify the strengths of the project and its weaknesses. The company also promises to provide relationship management, introducing the project to the right investors, advisors, and overall crypto professionals. Sparkchain harbors a team of blockchain and digital currency marketers which bring highly technical and complex solutions. The company has expertise in developing protocols, smart contracts, and community development, amid a range of fairly technical capabilities with solutions such as open source technologies, permissioned ledgers, exchanges, wallets, mining applications, and others of the kind. Despite the full kit of marketing services which are offered, there’s little to no information about the processes of the company and the way it approaches marketing campaigns. Needless to say, these are far from being all the successful and worthy ICO marketing agencies. These are amongst the most established and reputable ones on the market. The list includes ICO marketing companies with a specific focus on certain services as well as ones such as Priority Token which provide comprehensive turnkey solutions under a single roof.